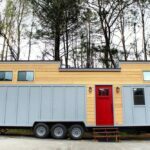 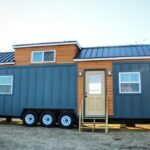 This gorgeous modern tiny house is the “Everest” by Mustard Seed Tiny Homes. 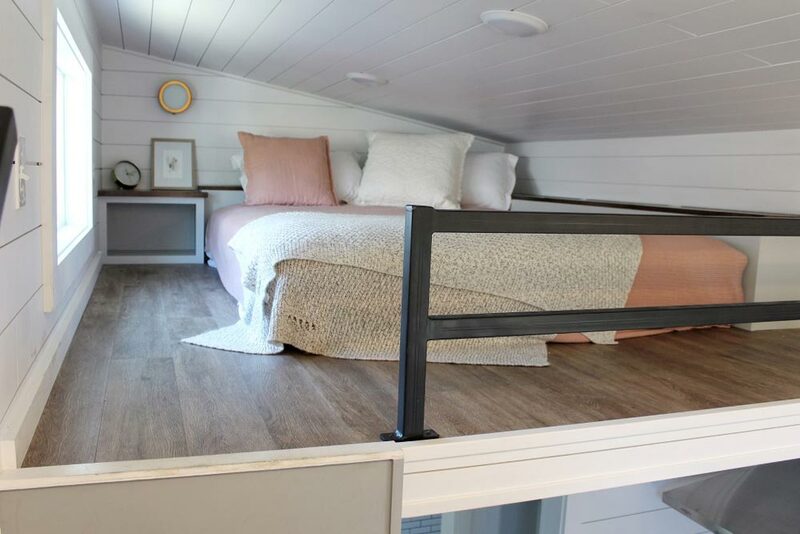 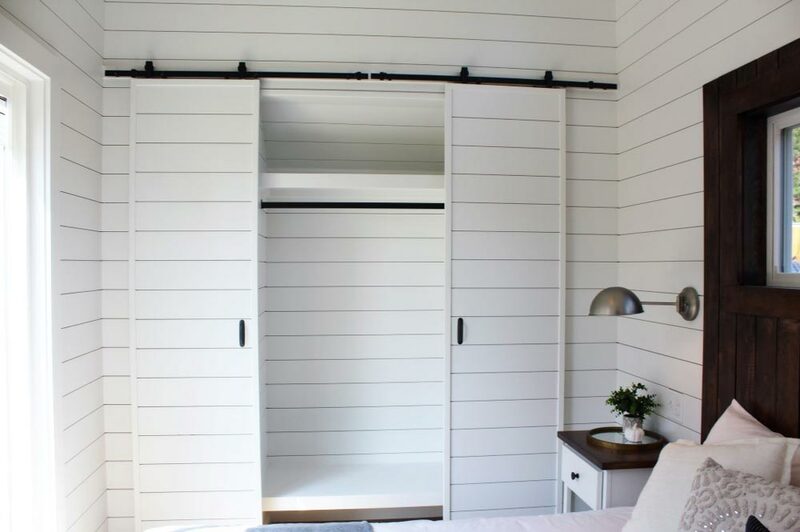 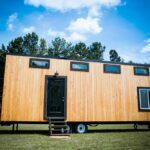 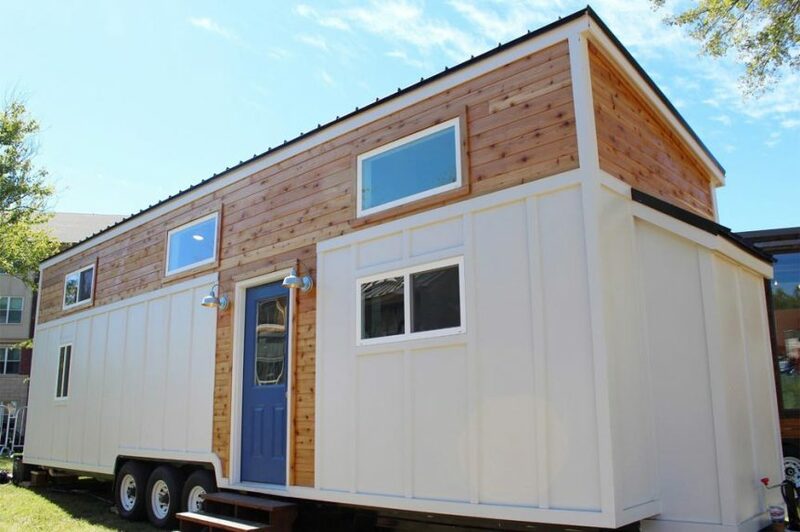 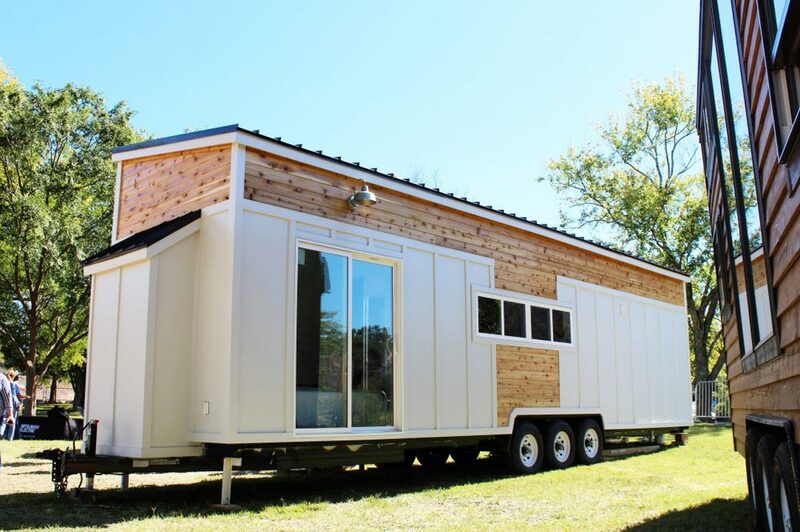 The 34-foot tiny home features a ground floor master bedroom with vaulted ceilings, full size bed, storage drawers under the bed, and a large closet. 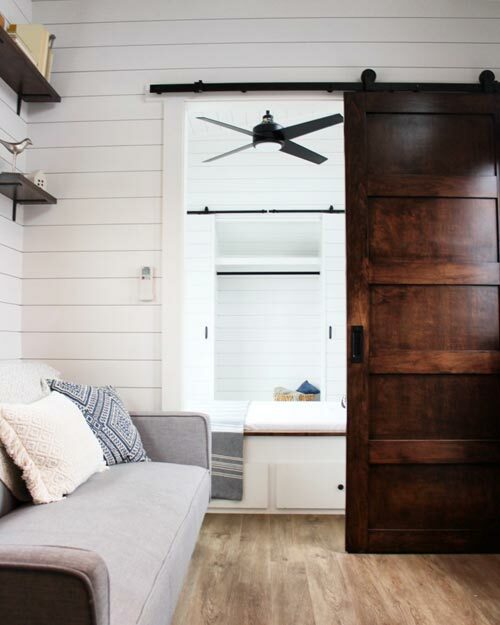 A sliding glass door provides a great view and easy outdoor access from the bedroom. 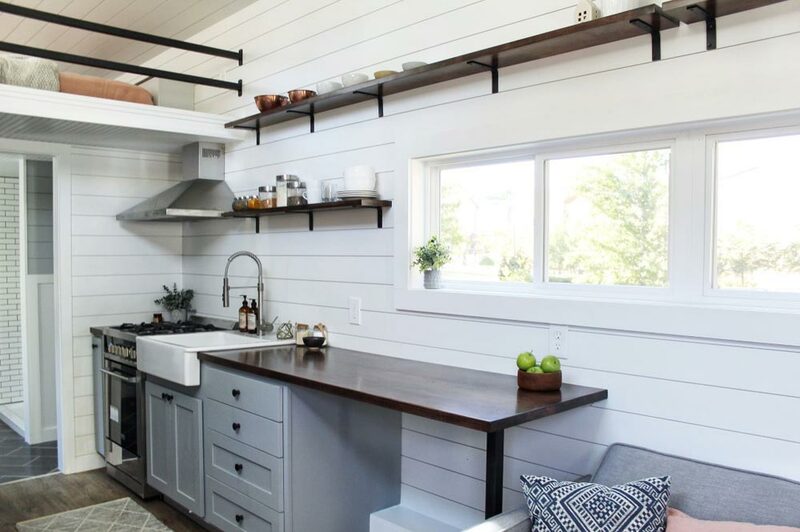 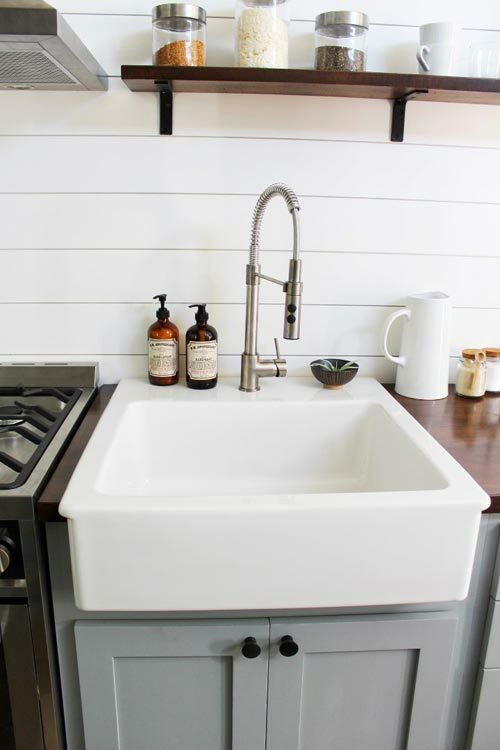 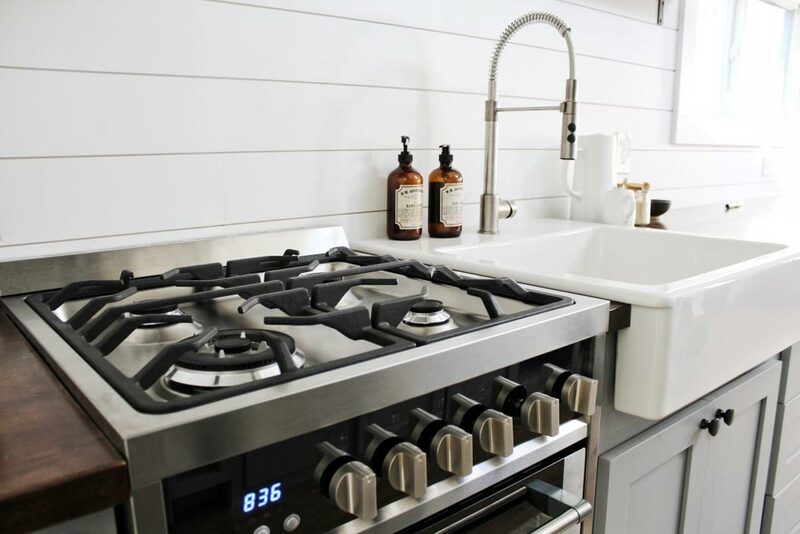 The Everest measures 385-square-feet and includes a beautiful kitchen with painted cabinets, dark stained countertops and shelving, and a white apron sink. 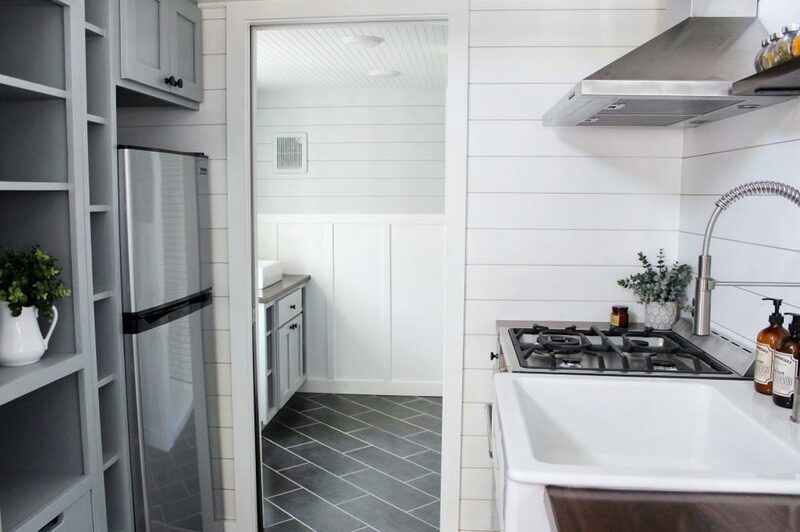 The kitchen is equipped with a freestanding range with vent hood, refrigerator/freezer, and plentiful storage spaces. 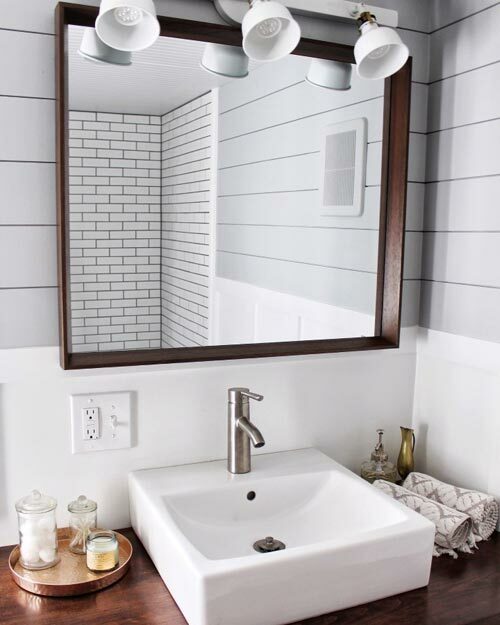 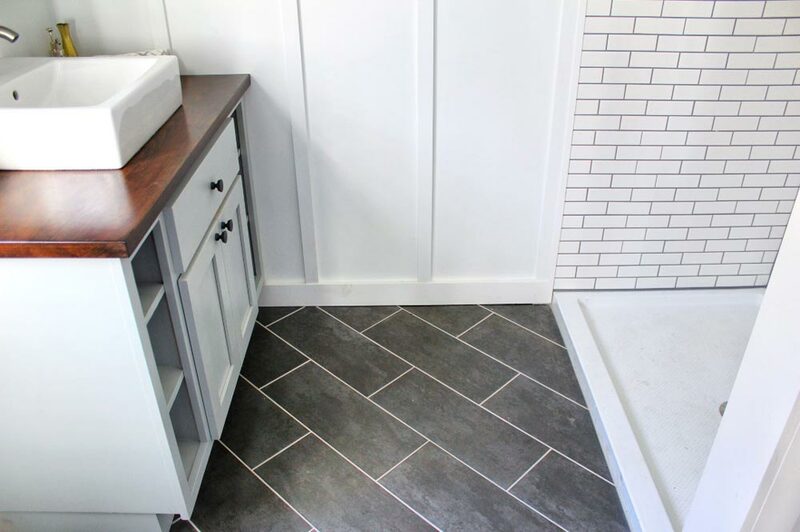 In the spacious bathroom is a tile floor, subway tile shower, flush toilet, and room for a washer/dryer combo. 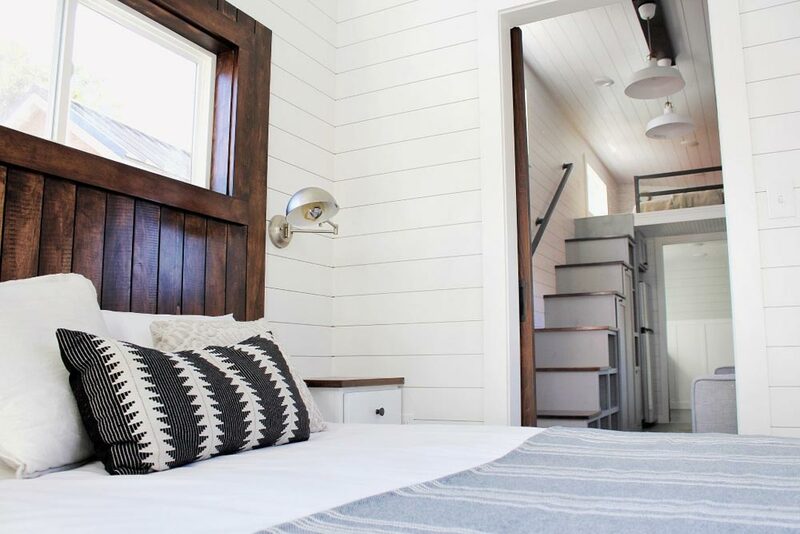 Above the bathroom is a guest loft. 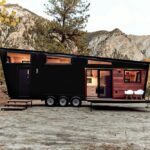 This model is available for $78,000. 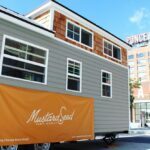 For more information about the house, you can contact Mustard Seed Tiny Homes. 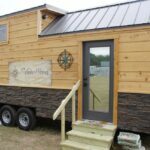 Also available from Mustard Seed Tiny Homes: Juniper, Cypress, Sprout. 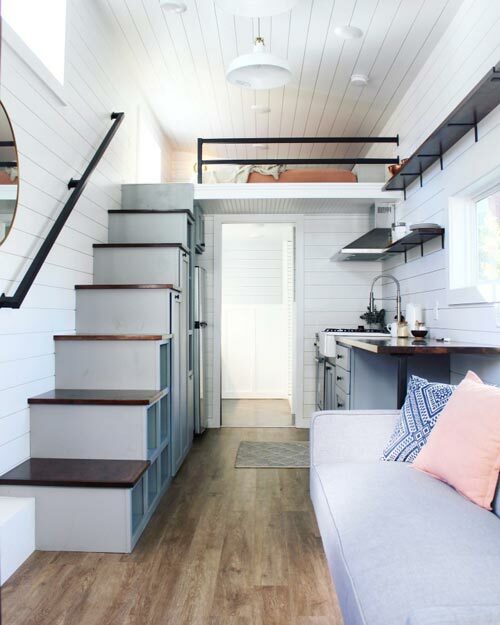 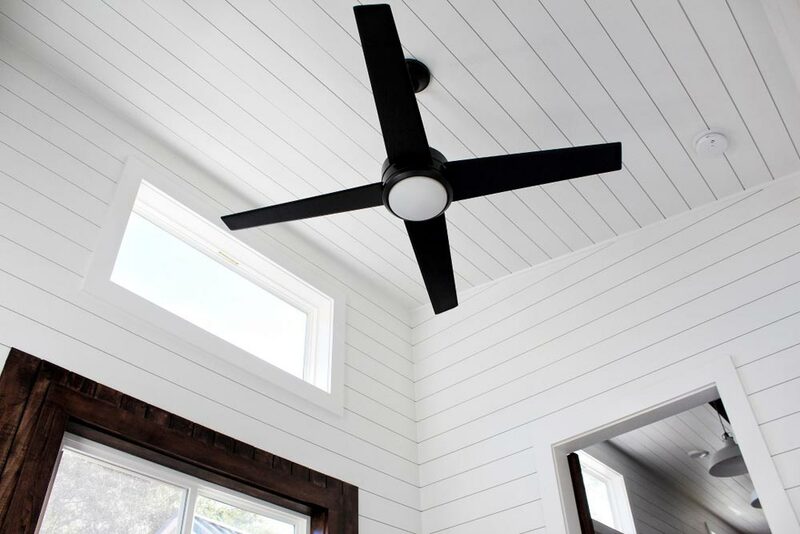 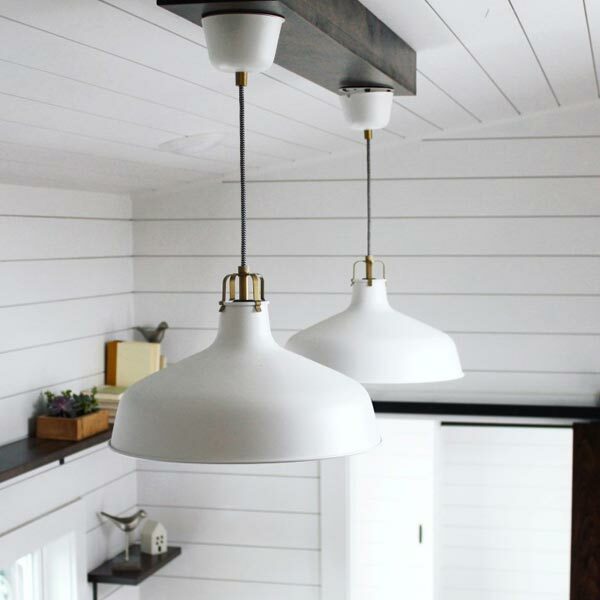 Follow Tiny Living on Facebook, Pinterest, and Instagram to get our latest tiny house updates!